Our top of the range Professional kit so you can hit the ground running with everything to showcase. 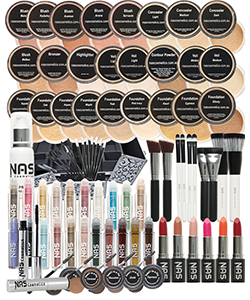 accredited in NAS Cosmetics then you will know how to apply our products correctly. 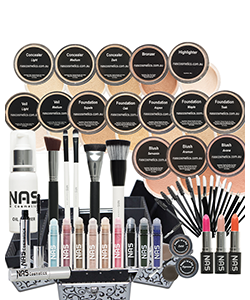 Are you a makeup artist or beautician and would love the NAS Cosmetics Professional Kit. Perhaps you’re someone who would like to learn how to apply the cosmetics and make-up and become accredited.